And so it begins!! 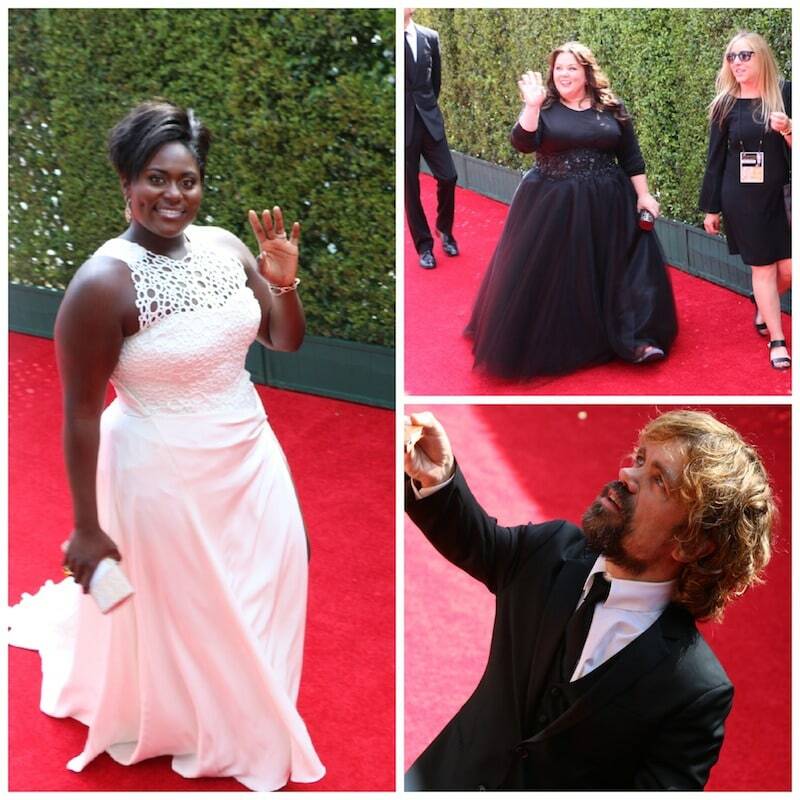 My insane coverage of the 66th Emmy’s red carpet thanks to Keurig. I have so many pictures to share that I am probably going to have to split these up into several posts — so get ready, folks. Let’s start at the beginning. We arrived before noon and the only celebrities that were showing up around then were the correspondents — think Kelly Osbourne, Giuliana Rancic, and Mario Lopez. Mario stopped to say hello while the ladies were all business and headed straight in for a touch up. 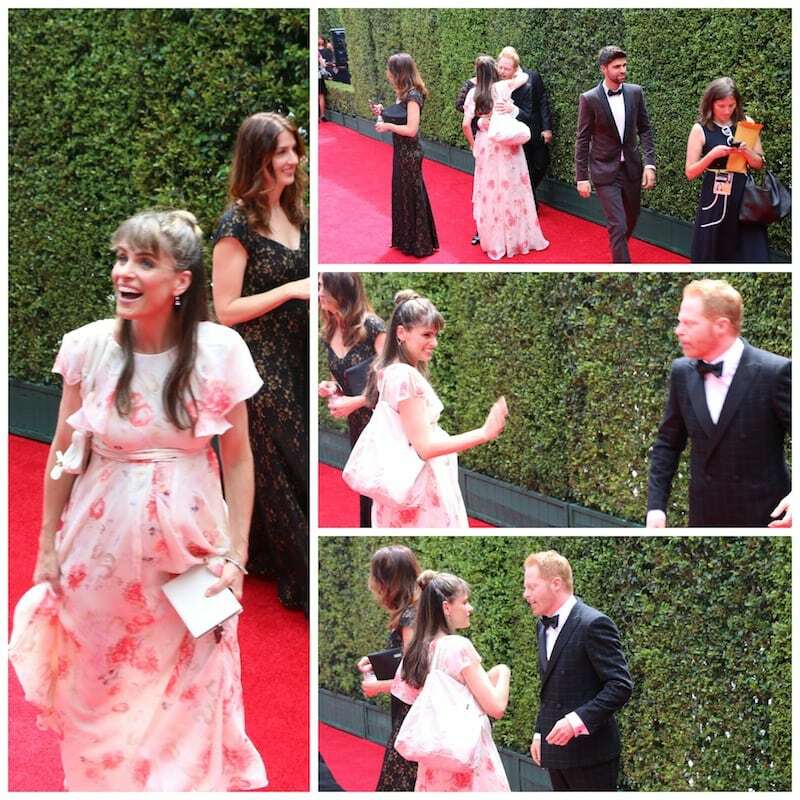 Then Amanda Peet and Jesse Tyler Ferguson (from Modern Family) caught up for a few minutes. Don’t you just love Amanda’s floral maternity gown by Giambattista Valli? Who knew she was even pregnant?! She revealed that baby bump on the red carpet! Love that!! Everyone is a buzz with this news. 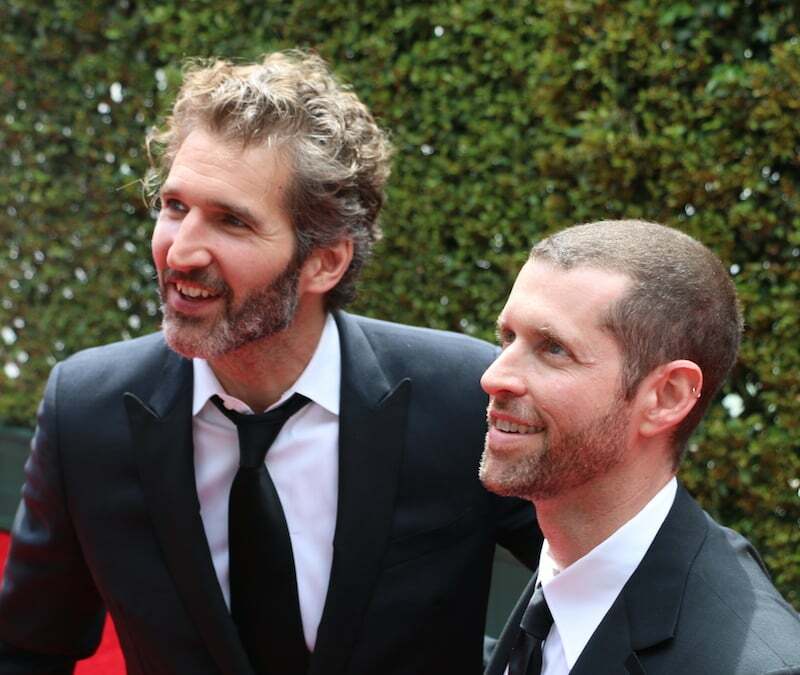 Had NO IDEA that she’s married to Games of Thrones writer David Benioff. Obsessed. Snagged a shot of him as well!! Another beautiful maternity number — Hayden Panettiere’s Lorena Sarbu sequin gown. Absolutely stunning! And despite Hayden feeling tired at the end of the line, she still turned around and signed autographs when someone asked. I LOVED THAT. Actually, I have to be honest — almost everyone signed this book. There was a woman and a man who each brought something to sign and both got about 97% of their autographs! I was SHOCKED. Celebrities would TURN BACK AROUND if they heard the request. What? Really? Apparently, if you want to get their attention, you have to go old school. I thought I heard a mumble about “Tom Hanks‘ son” as I was messing around with my camera gearing up for my next shot. Then I heard the Tom Hanks laugh and instantly perked up. Holy… Clone…. 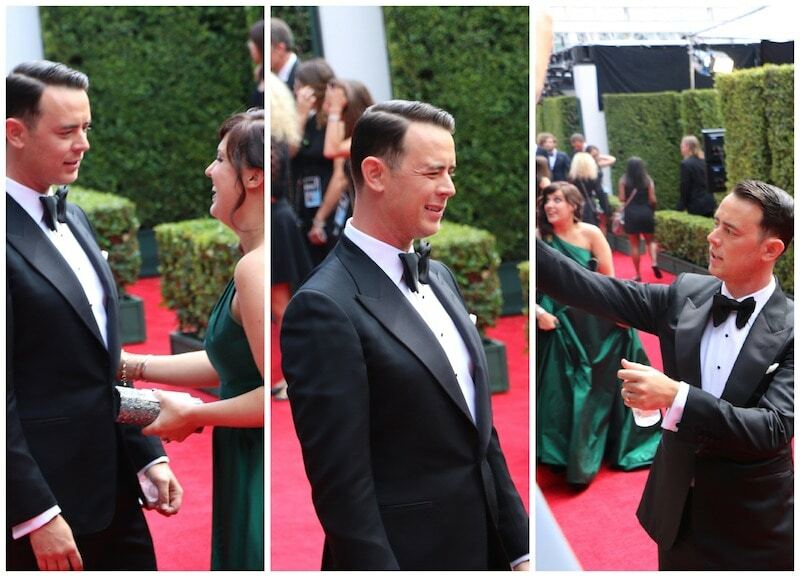 Check out Colin Hanks! Now only does he LOOK like Tom, but he also sounds like Tom. That laugh! Identical!! He is in Fargo in case you don’t watch the show (like me). 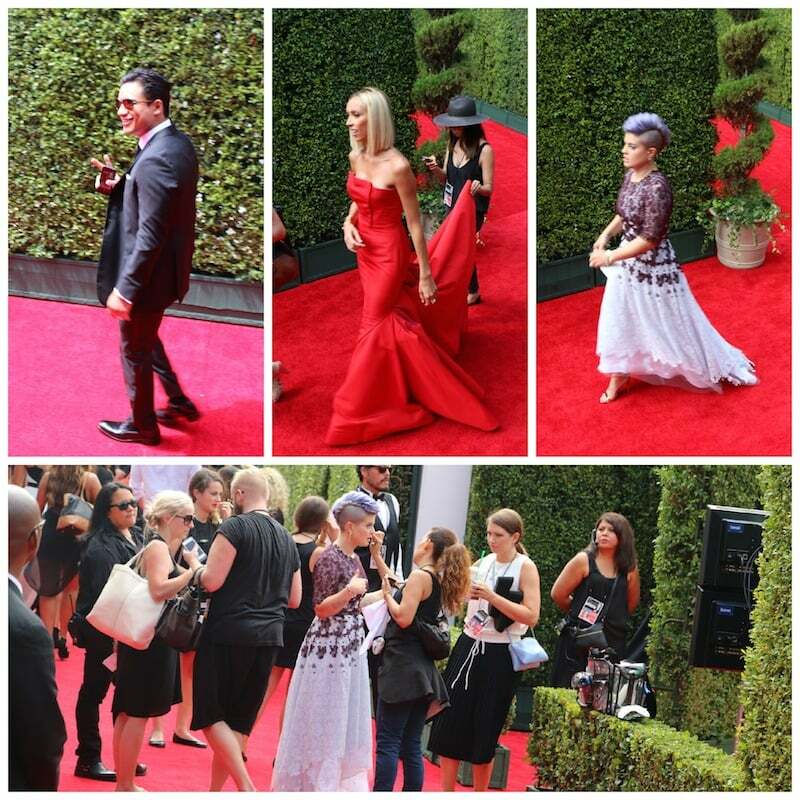 Getting tired of these red carpet pictures from the 2014 Emmy’s? I hope not! Because we just got started. Who watches Silicon Valley? Amanda Crew had a little fun with the rest of the cast in these shots. I don’t know if you notice, but in every photo – all the celebs are looking to my left. That’s because I was next to someone who was c-r-a-z-y. She was screaming at the top of her lungs and really putting it out there. I wasn’t about to compete with that. I’m not a member of the paparazzi. So, I sort of sat back and took the profile shots. Good enough for me. 🙂 In these shots, the woman next to us ask the crew to do something “funny”… and then something “else that was funny”. They were good sports about it. And of COURSE he signed the autographs! So nice. Walking right behind him was Rico Rodriguez from Modern Family. He was laughing and joking with everyone. SUPER NICE and sweet. I was the ONLY American Horror Story fan in the group, so I was the ONLY one who knew that Taissa Farmiga was making her way down the Emmy’s red carpet. Her dress was unusual for the Emmy’s, right? Certainly unique and flattering to the shape. What do you think about her look? She is super young — so I have a feeling we will be seeing a lot more of her over the years. This was part ONE. I have SO MANY PHOTOS TO GET THROUGH. Going to try to get them all up today! Stay tuned! EDIT — VIEW POST TWO HERE!!! 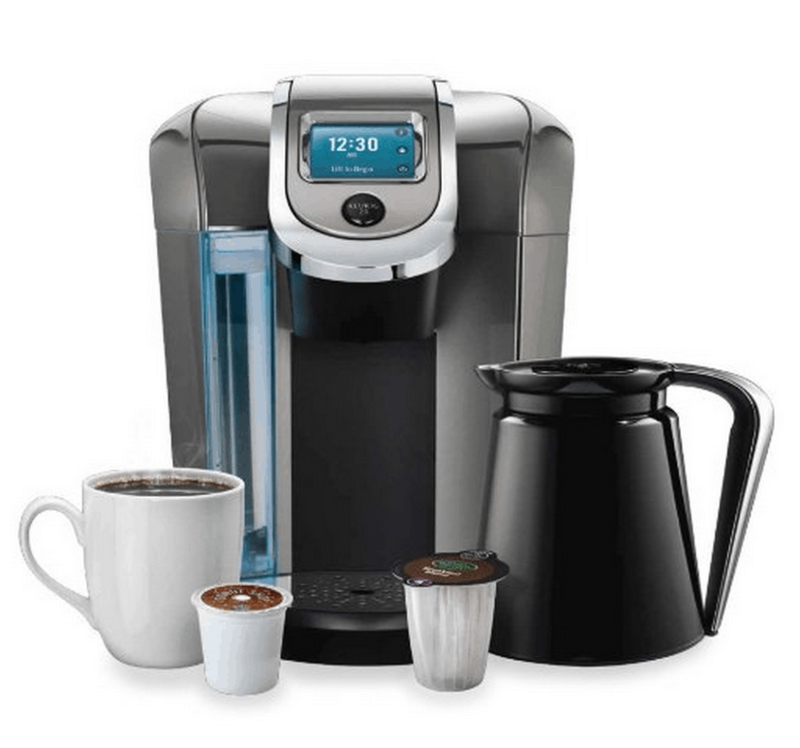 And while I have you – say hello to the Keurig 2.0 Brewer. I am going to do a FULL review on this puppy but just KNOW that the new version allows you to brew a carafe of coffee OR just one cup. I LOVE this considering I host the majority of holidays for my family. How fun! I was watching on television. Must have been mayhem! OMG the photos – can’t believe you were so close to everyone! What an amazing experience!! Does Melissa McCarthy have on flip flops??? LOVEEEEE Taissa Farmiga’s dress!!! 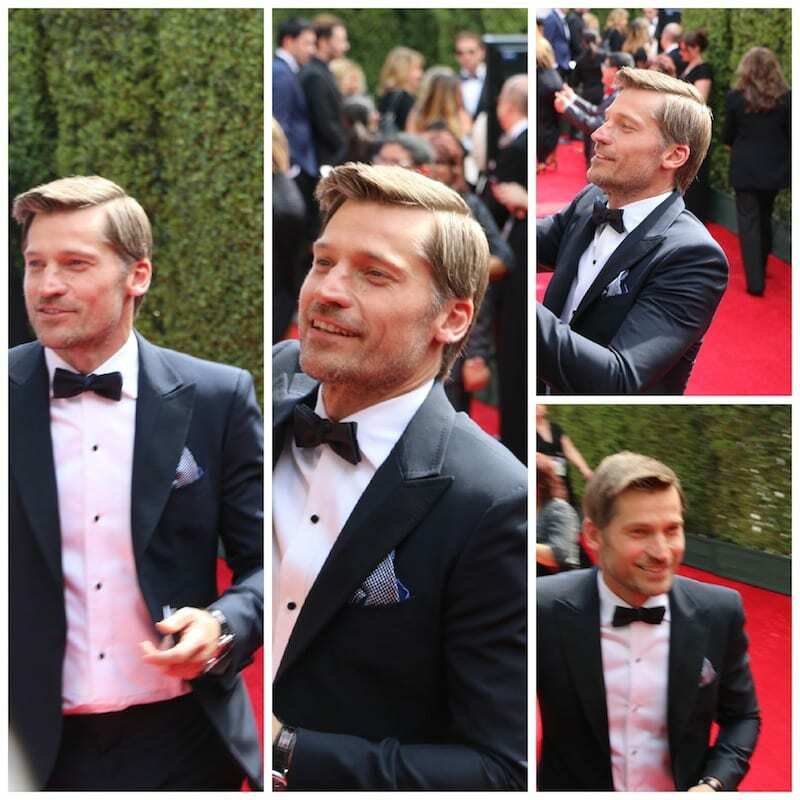 Ohhhhhh Jamie Lannister! JEALOUS! So so cool. Thanks for the amazing coverage! And did you say brew a carafe?? Need this for the holidays too! GREAT recap!!!! Such a wonderful time!!!!!! love love love all these photos! fantastic coverage. i bet it was so amazing being there! i loved following along from home and i heart Keurig too! I love all these up-close photos from the red carpet. Ok – you HAVE TO KNOW I was stalking you and Audrey that night, right? I was DYING. Your photos are fabulous – I love the recap. Watch me jump from one to the next. Hayden – amazing. I adore Melissa McCarthy. 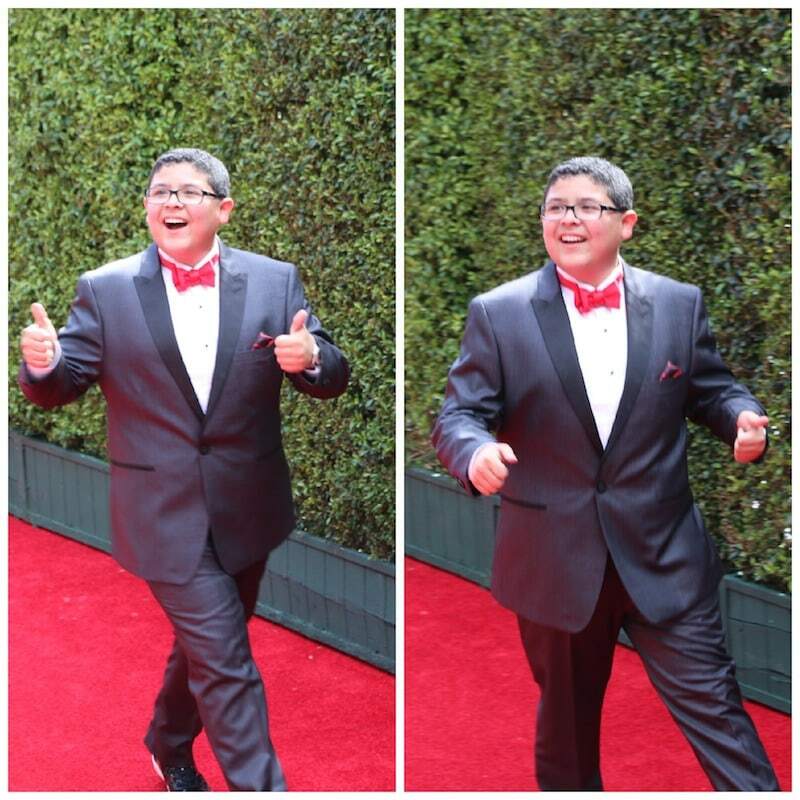 You know how I feel about Red Carpets – what an incredible experience – you did an incredible job.